In the early days, Tuesdays were one of the busiest days of the week. That was the day that new releases came out. We’d also re-stock all our other stuff that day too. Canpar would show up with several boxes which you would crack open to gander at the goodies inside. It was also cool to see the new releases for the first time. Checking out the album covers, the song titles, stocking them, seeing how they’d sell. Any time there was a new release that I was personally into, it was twice as fun. In the days before computers you’d have to make an inventory tag for each new release. That was your trigger to re-order the title. You’d put the tag on one copy of the CD. If that copy of the CD was bought, you’d take the tag off, and put it on another. When there were none left, you’d file that tag. (We always filed by record company – there were more record companies back then, many have merged.) Then come order day (Mondays) you’d go through the tags and re-order things that were sold out. 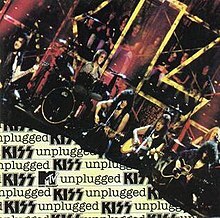 I remember when Kiss’ MTV Unplugged came out in March 1996. Trevor was working the day shift, me the night. Maybe only a record store guy would get it, but that was cool of him. That inventory tag would be in the store forever. Little things like that meant something to us. I remember when Radiohead put out The Bends. We ordered three copies, and sold out immediately! Imagine that today — ordering three copies! But back then, as far as we were concerned, they were a band with one novelty hit. The worst new release Tuesdays were the ones where we didn’t get something important. Maybe the distributors stiffed us on an in-demand title. Maybe we just missed some new hip-hop artist that we’d never heard of. It would happen all the time. I would always try to get in rock titles that I knew we could sell. Rock wasn’t huge in the mid-90’s, but I did carry the flag. I made sure we ordered 5 copies of Queensryche’s Hear In The Now Frontier album in 1997, which we sold out. Then I ordered three more, which I also sold. In fact, I sold out of that faster than I sold out of Notorious B.I.G.’s posthumous second album (which was twice the price, however). I also carried Bruce Dickinson’s Accident of Birth. I sold out of that one. Even though the numbers were insignificant as far as our store sales went, I felt good that we were at least bearing the flag for rock during the 90’s. 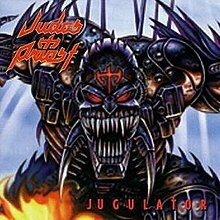 Believe it or not, in 1997, we didn’t even carry the new Judas Priest. That’s how bad it was for metal at the time. I ordered one copy for myself, and just one copy. 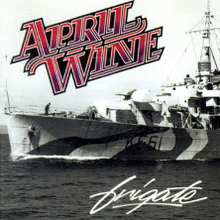 New release Tuesdays were a long day – you had to rearrange the charts to accomodate for the new releases, and sometimes in the old days when we had more new releases, you wouldn’t even finish stocking until the next day. Sometimes your fingers were sore from applying peel-and-stick security tags. The excitement of new release Tuesdays, and the surprises in store, meant it was always a shift to look forward to. Man, I still live for New Release Tuesdays. 3 copies of The Bends? Great foresight there, Nostradamus! Haha. So then this begs the question: After that misstep, how many copies did you bring in for the release of OK Computer? That tag system sounds very inefficient and a total pain in the tookus. You’d always be looking for the tag on every CD you sold. Ugh. OK Computer I think we stocked 15-20 copies. That was appropriate for a store our size. You don’t catch another price break on them until you order 50 copies, and we didn’t do that very often! Not unless it’s the new U2 or Big Shiny. Ahh tag system. Before computers. It worked out great though!